Welcome to the “Trick or Treat” Halloween Blog Hop!! 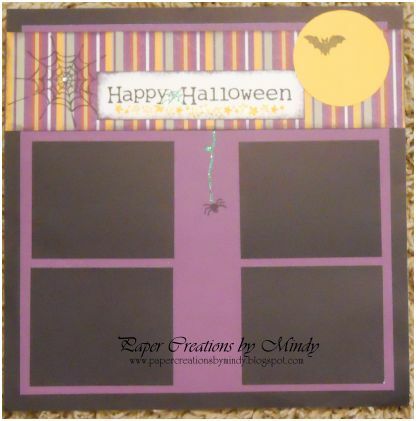 We’re so happy you could join us for this super-fun hop showcasing cards, layouts and projects that feature everything fun about Halloween!! You’ll find an array of ideas throughout the hop — From decorations to gift ideas and more, we hope you’ll enjoy each and every project along the way!! This is a TWO-DAY hop, so be sure to catch both days for maximum ideas (you’ll find the entire line-up below my post)!! For the hop today, I’ve created a Halloween layout to put all those cute pictures of the kids in costumes! 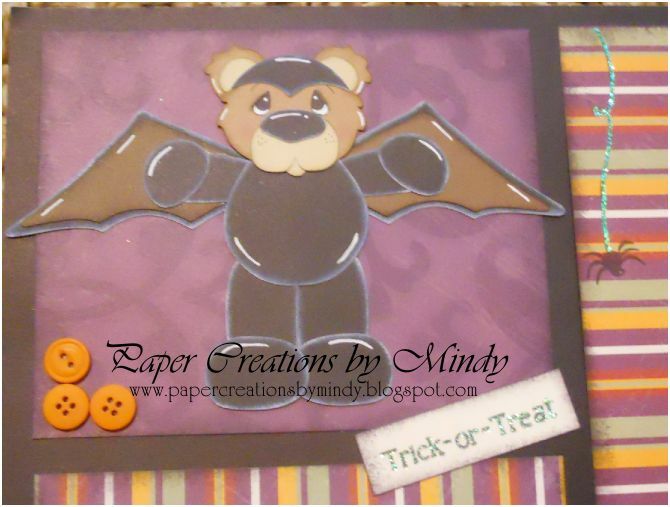 Paper pack is an oldie but goodie from Close To My Heart and my bear piecing is from Little Scraps of Heaven Designs. Thank you again for checking out my project… Now hop on over to Theresa’s blog and remember to visit all the stops for more chances to WIN!! Below are links to Day TWO of the hop – if you missed DAY 1 of the hop be sure to click HERE to check it out! Your layout is so cute and I can just see pics of my gsons on it! I love those Little Scraps of Heaven Designs..they just have that precious feel about them and the little bear just finishes off your layout perfectly! I love your adorable designs – and the boxes! so cute i love Halloween colors TFS!!!! Getting so many great ideas for layouts I need to get going on here. Love the bear and the purple background and the little spider dropping down. Great job! I love the little batty bear! Super cute layout! Such a cute layout. I love the cute bear! Your layout is just adorable! Love the color scheme! This layout is amazing and the kids pictures are going to look great on it. So glad to be in this hop with you. Thanks so much for joining the hop! !